Your portrait session should be a reflection of your family. Before our session we will have a phone or in person consultation so we can discuss your expectations, ideas, and goals for our session. Preparation and communication are the keys to a successful portrait session, so make sure to share all your ideas and concerns with me during our consultation or on your questionnaire! Finding the perfect location is an important part of planning for the photo shoot of your dreams. I have my favorite places, and usually make a recommendation during our consultation based on your personality and style, but I always welcome your location ideas. I’d love to know if there is a place that is sentimental to your family so we can discuss our options and plan the best location to suit your family. Think coordinating, not matching. Incorporate colors and patterns that fit well together. Don’t be afraid of color! Choose a few neutral colors, and then add a few bright accents to your outfits. Accessories such as scarves, necklaces, and clothing layers are great for this. Wear well fitting clothing. Not too tight, and nothing baggy. If you can’t walk in those pants, don’t wear them! No logos please. To keep the look timeless, try to avoid trendy clothing with words or logos. Always feel free to text or email me your clothing options laid out before our session! Get your kids excited for the session and let them know how much fun it will be, but no need to over prepare them or add too much pressure for "best behavior"
Our goal is to capture their true expressions, and keeping it light and fun is essential to that. Our best behaved children (and adults for that matter) are usually those that are well fed before our session. Feel free to bring treats to reward good behavior during our session! This is where it all comes together! You’ll come into the studio to view all of your best images. Products are ordered a la carte, so we’ll go through the images while I’m there to offer guidance and make sure all of your questions are answered. You’ll place your order and leave the studio with excitement and confidence about your order! What does the $250 session fee include? VIEW AND ORDER APPOINTMENT to choose your favorite images! Want to know more about the experience? Watch the video below! All albums are printed on archival photo paper, NOT press paper. The short term difference is thickness, richness, and color. The long-term difference is archival ability. Your album should be passed on to your grandchildren in beautiful condition. 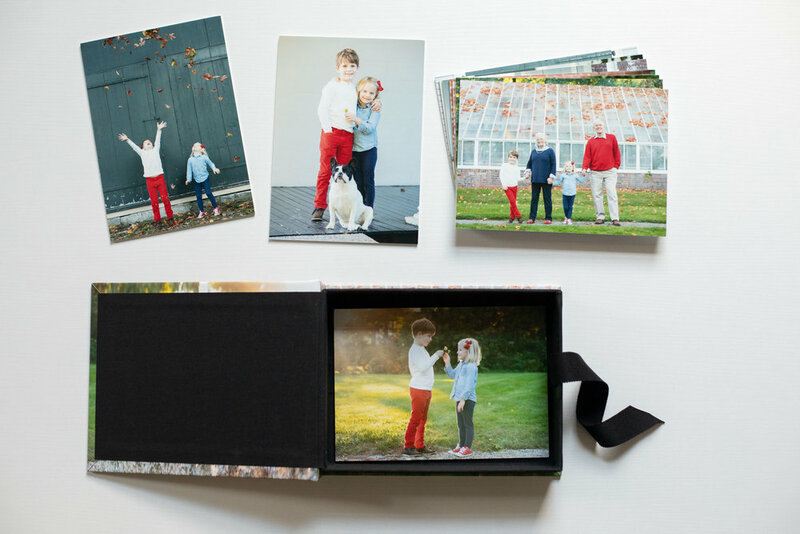 My albums feature leather cover options and my favorite, lay-flat pages to allow beautiful panoramic spreads across the entire album. MY SPECIALTY! Choosing what to put on our walls can be the toughest interior design decision we face, so we'll create the perfect wall before ever making a nail hole. I specialize in creating custom arrangements to suit your room, your decor, and your personality.